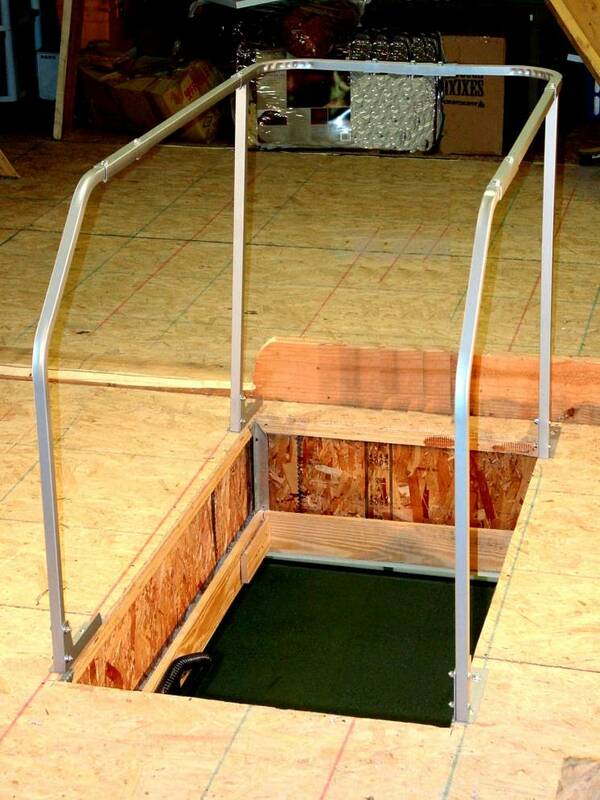 The Versa Rail is adjustable to fit most Attic Ladder openings. It telescopes down to a minimum width of 22 1/2″ out to 30″ or the length can be adjusted down to 54″ out to 60″. Once adjusted to the correct width and length, just fasten it to your attic decking with the proper lag screws provided. This sturdy hand rail makes entry and exit to the attic safer and more convenient. 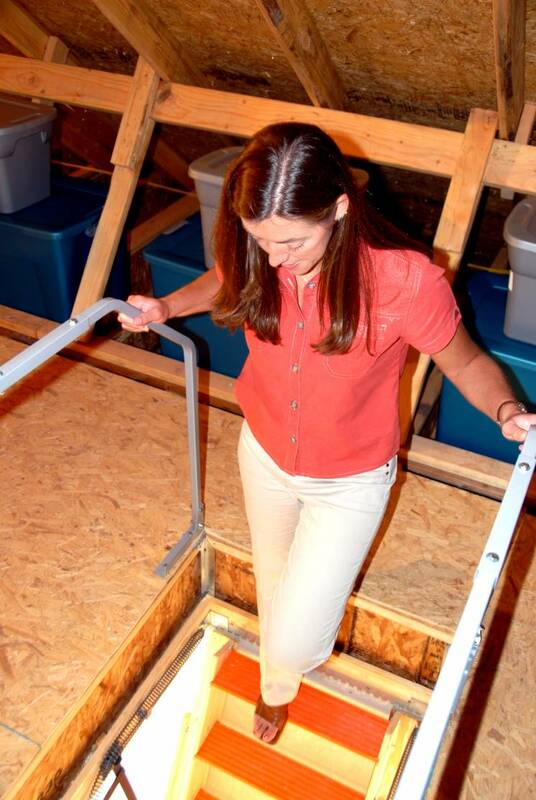 Made of durable steel and easy to install, this great product will help to avoid someone from accidentally stepping over the edge of the hole created by the unfolded attic ladder. If you feel like you are not really getting the support you need when it comes to getting the garage organized, then it is most likely a Versa Rail that you need. 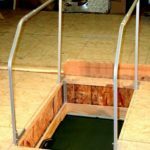 This is the reigning supreme hand rail and attic safety rail that homeowners count on when they need to make sure their climb to the attic is a safe one. This is the insurance against falling from the ladder or from the attic during times of cleaning and organizing. The safety rail acts as a solid grab bar for stability during the climb. This is essential for keeping your balance on a ladder that was not exactly designed for maximum stability. When you need that extra support the ladder itself just cannot give you. It is made by the same company that makes the Versa Lift attic storage lift system, so you know there is ample quality and testing behind the design. There is no reason to chance a fall, which is almost guaranteed to lead to injury. In many cases, it will lead to serious injury and potentially even death. Cleaning up should not risk physical injury. 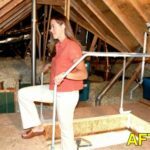 By using a support hand rail for the attic, your trips up and down are not going to be loaded with the danger of falling from the weak structure that the ladder really is. Your clean up process can be safe, which mean that it is much more likely to get done when you need it to. 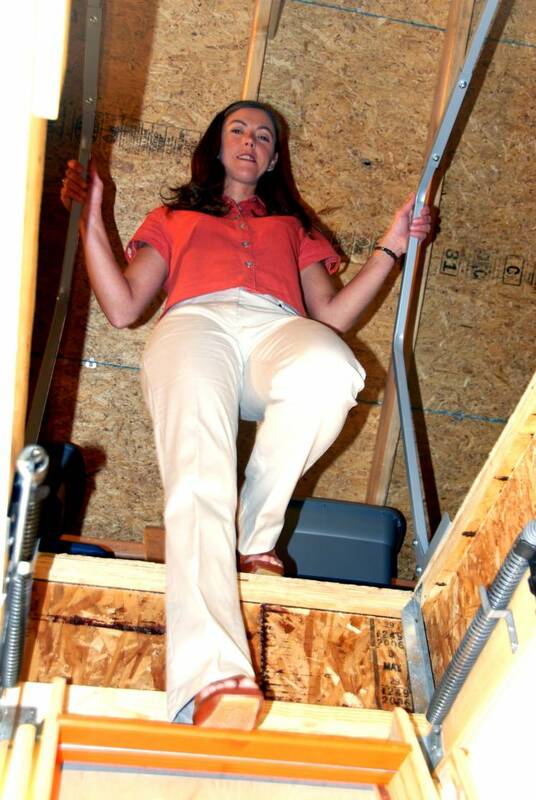 There are lots of dangers that linger at the top of the attic ladder, and the Versa Rail attic safety system handles those as well. The point of transition from the ladder to the attic is a point that I about as dangerous as any other point. This is where support is truly needed. 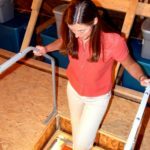 Your support is granted with the Versa Rail attic safety rail because it gives you that extra bit of stability that you need in order to get from the top of the ladder to the attic in one smooth, secure motion. 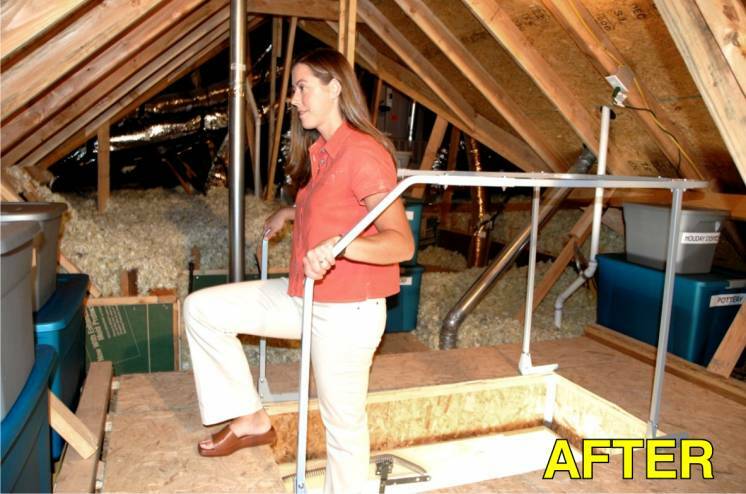 A simple, solid handrail that continues around the opening of the attic access provides the extra security you need to help prevent the tragic fall through the floor. There are certainly enough dangers presented in daily life. 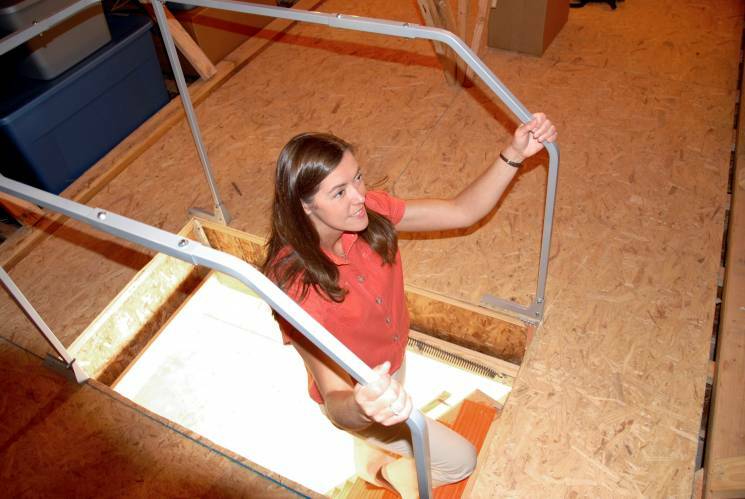 Walking around in the attic should not be one of the things you need to worry about. Keeping the clean up process simple and safe is easy when you have the right equipment. Since you need the process in order to store the things that are important to you, it does not really make sense not to ensure your safety while you are working. The items you need to store may be very important, but most people will agree they are not worth personal injury or the anxiety that most people feel when climbing up and down an unsteady ladder during the work period. 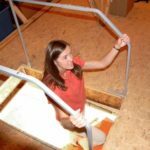 The best part is that a Versa Rail attic safety railing can be paired with the Versa Lift attic lift system in order to create the perfect scenario for fast, easy, and safe clean up.